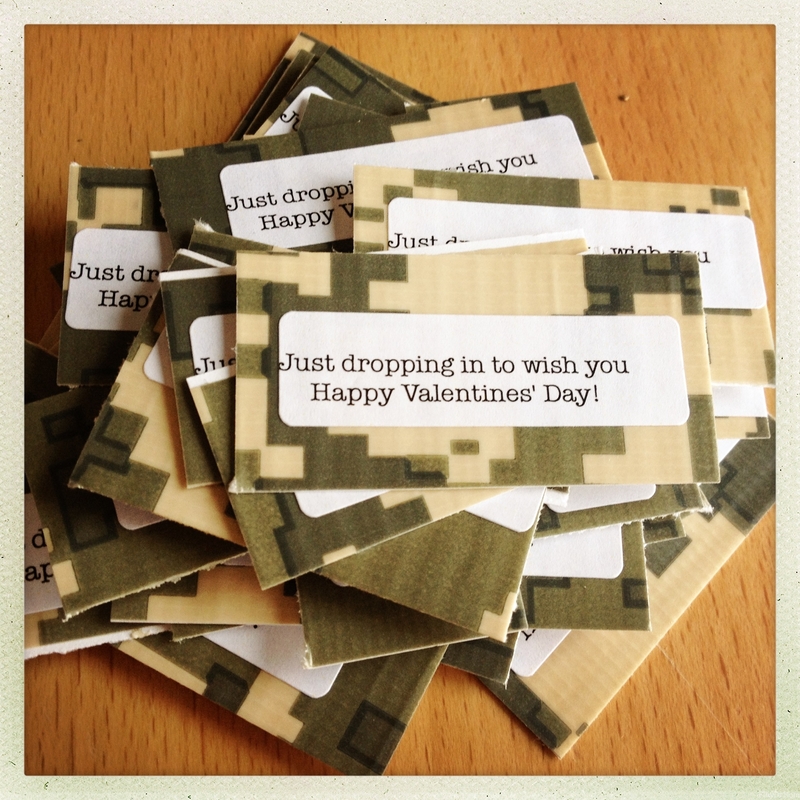 Paratrooper Valentine … Just dropping in! I let both of my kids peruse my Valentine’s Pinterest board to pick which Valentine’s they wanted to give out this year. 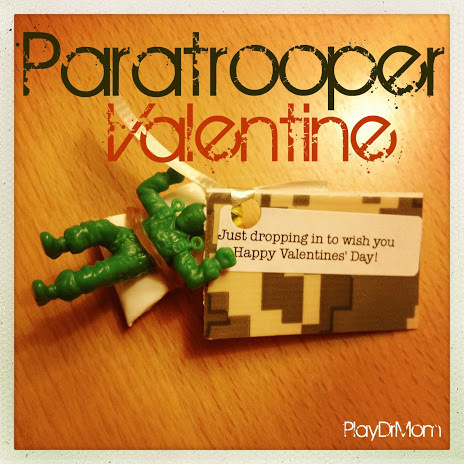 Henry (who will be 7 in a month) picked out this super fun Paratrooper Valentine from Paging Supermom! 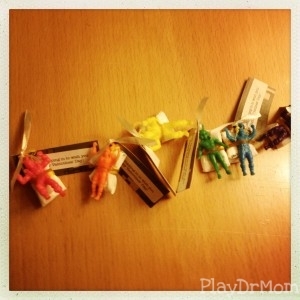 I purchased these cute and colorful paratrooper toys from Oriental Trading Company (72 for $10). I particularly like this set because the figures come in a variety of figures, poses, AND are BOTH male & female. In case you’ve never heard of this toy before, I’ll explain. 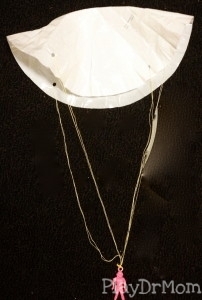 It’s a small figure with a plastic parachute attached to the figure with string. 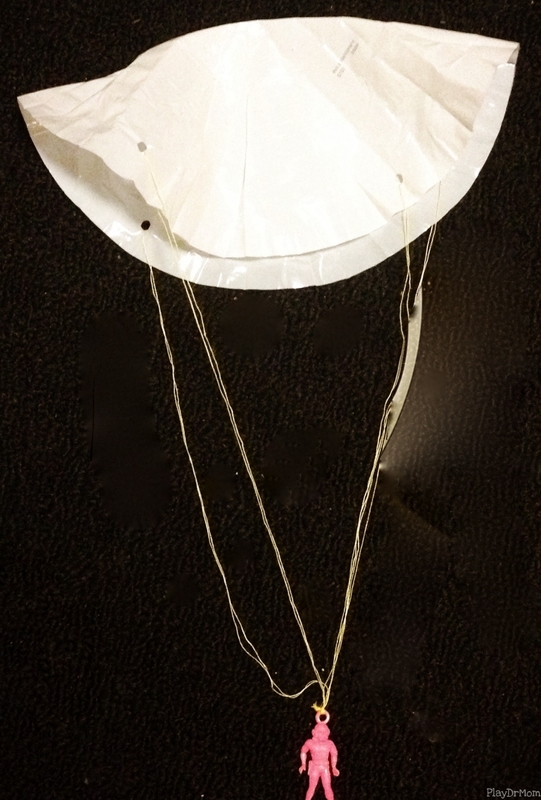 If you unwrap the chute and allow the figure to fall to the ground from a bit of a height, the figure floats to the ground just like a real paratrooper! 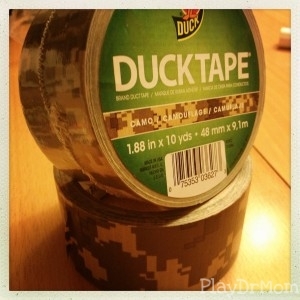 … Camo Duck Tape! 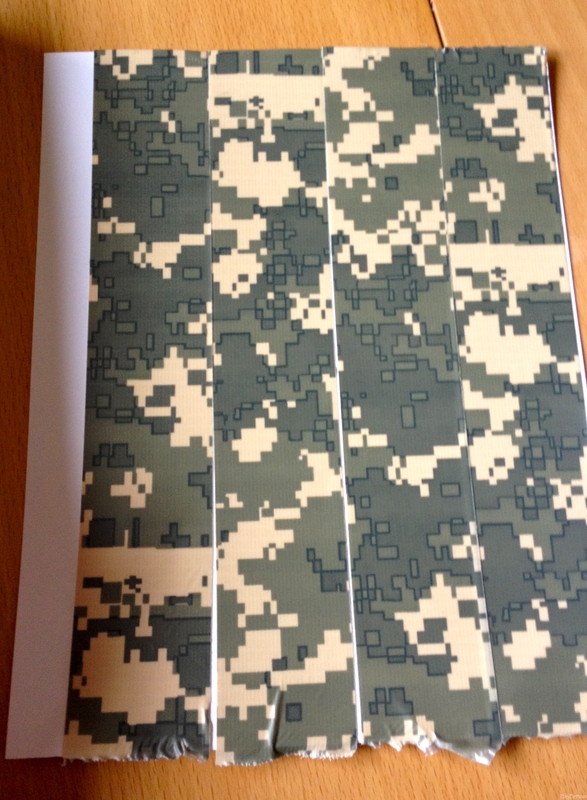 I simply just stuck the tape onto a piece of white card stock to use as the background for the tag. Then I printed out small address labels with the message, “Just dropping in to wish you a Happy Valentine’s Day!”. 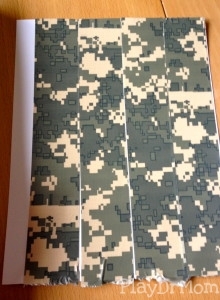 I stuck the label on the camo tape tag, punched a hole with a hole punch, and then tied the tag on the the mini-trooper with some curling ribbon. I have a feeling that these little guys are going be a big hit at my son’s first grade Valentine’s party … and also when they “drop in” to our friends and family through the mail! We also have a Pinterest board dedicated to the link up party and are inviting all contributors to become a collaborator on the group board. It is a really great way to get many new viewers to see your posts. The link for the Pinterest board is on our post. I hope to see you there!